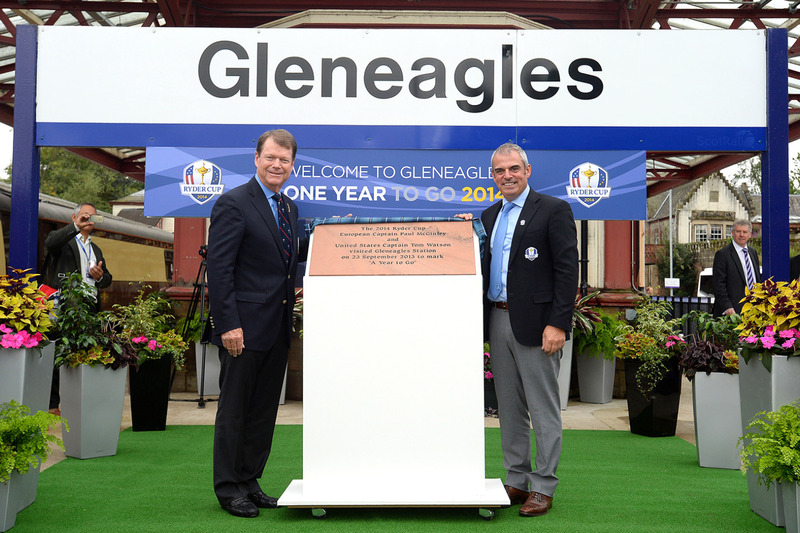 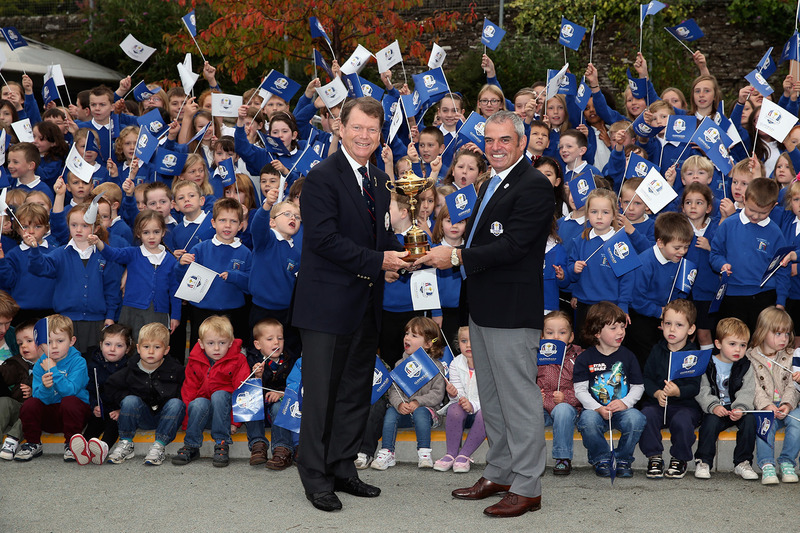 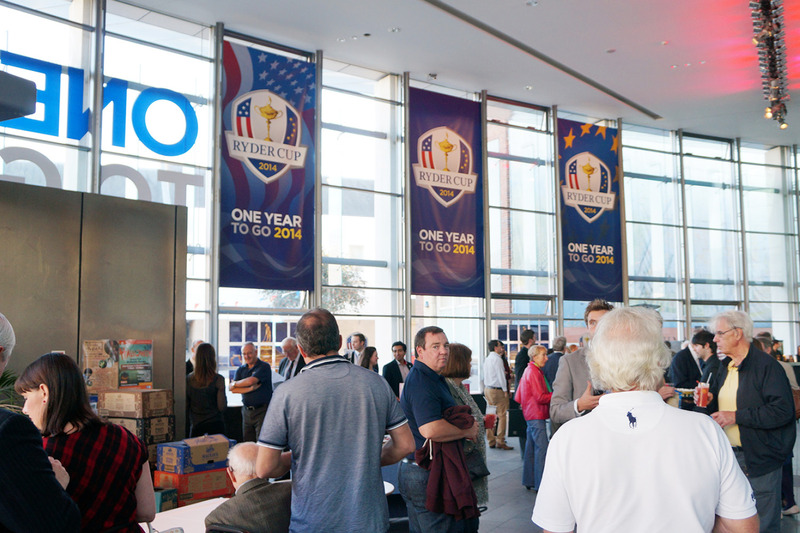 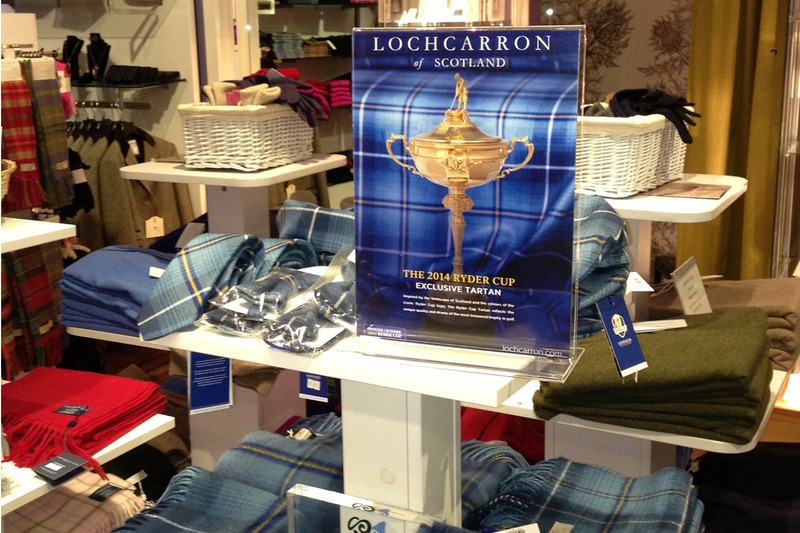 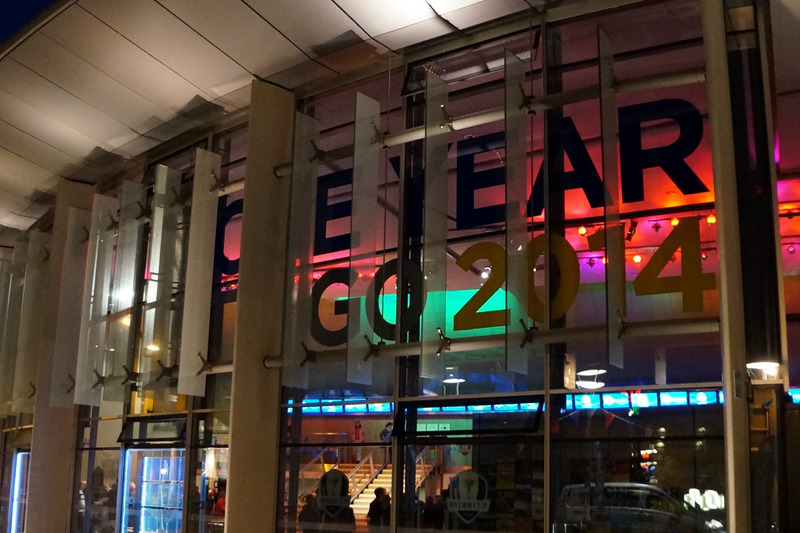 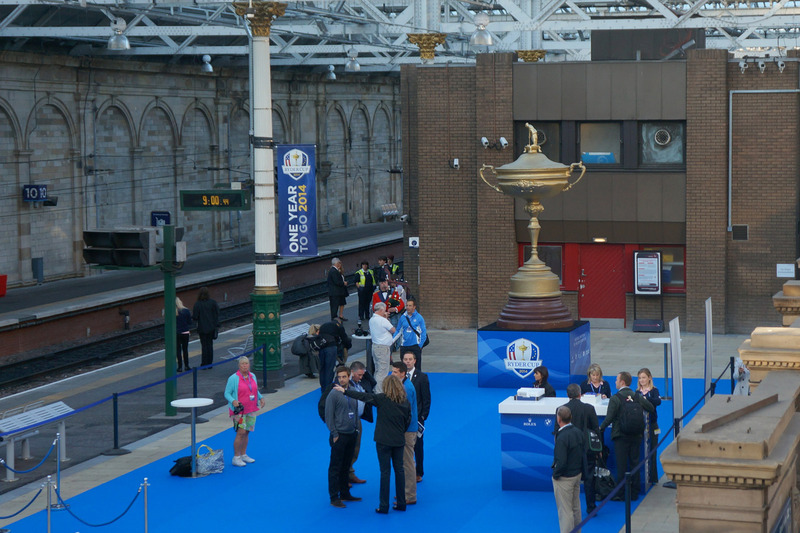 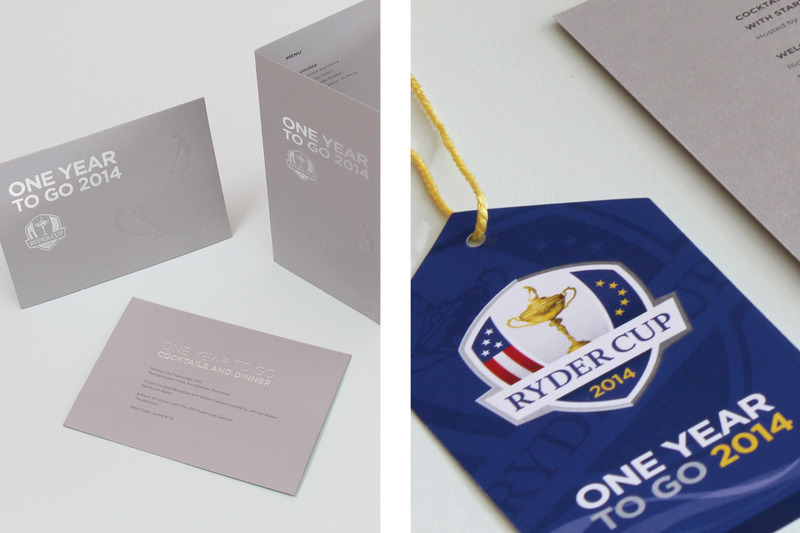 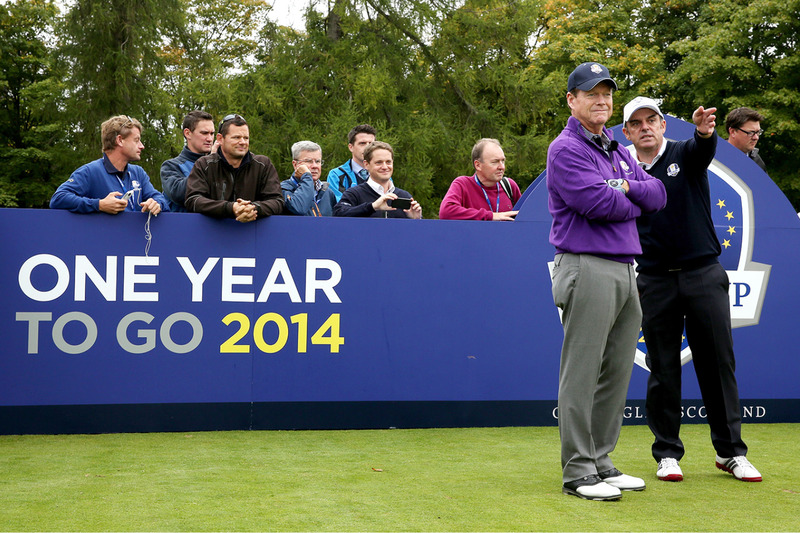 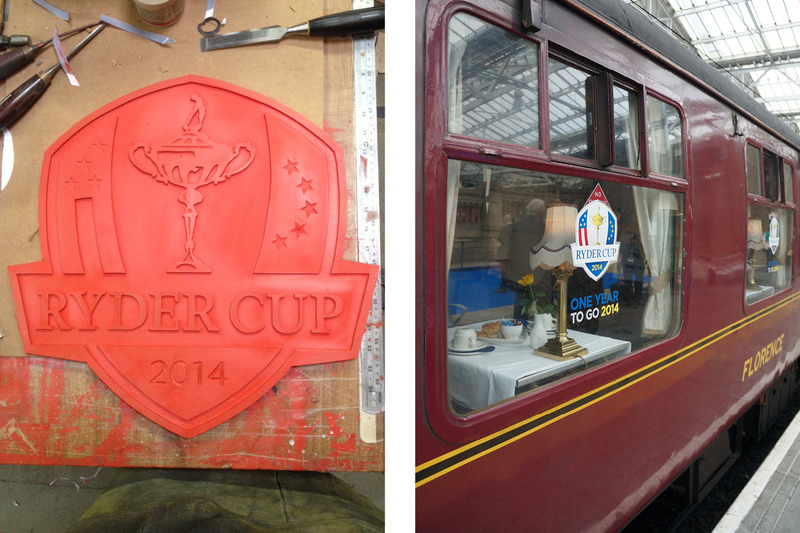 The Year to Go was celebrated in five locations, over two days, beginning with the arrival of VIPs at The Balmoral Hotel, where guests were greeted by The Ryder Cup Hospitality team and received VIP accreditation. 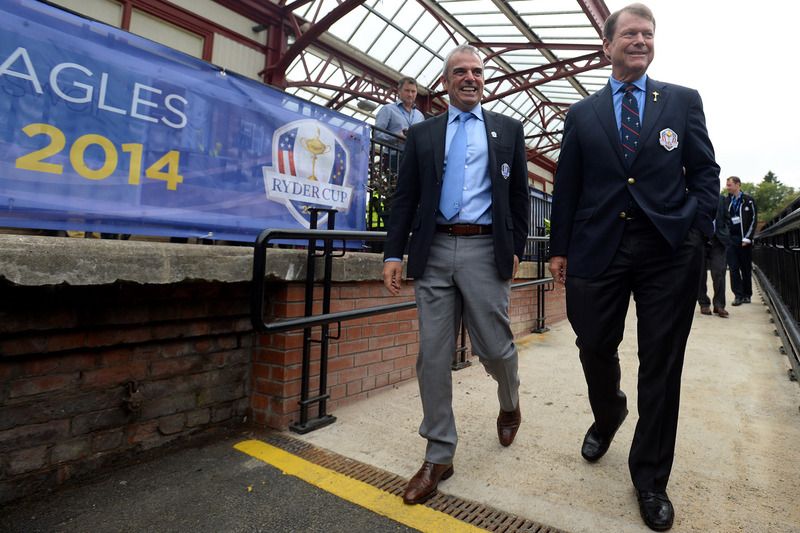 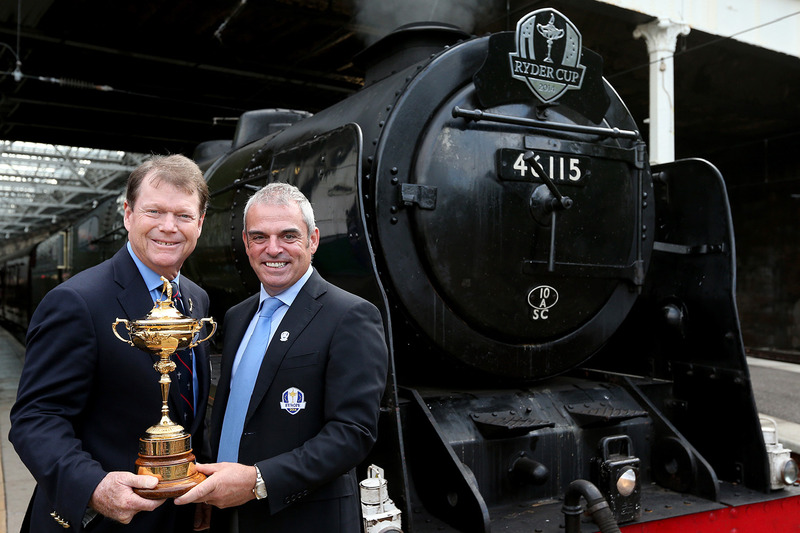 The next day VIPs and members of the media gathered on platform for the arrival of The Ryder Cup steam train, travelling in style to enjoy a celebrity golf tournament, a concert, gala dinner followed by Press conference, work-shops, a sneak preview of Hospitality facilities and a local school treated to a meet and greet with the Captains. 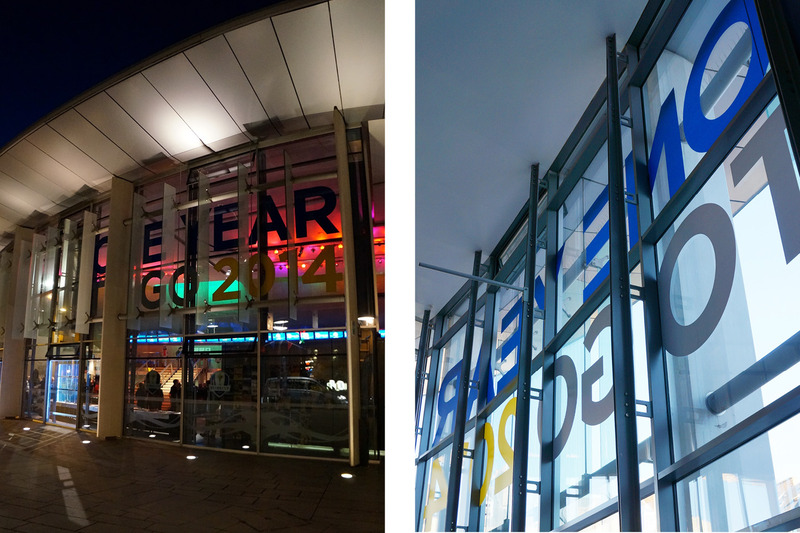 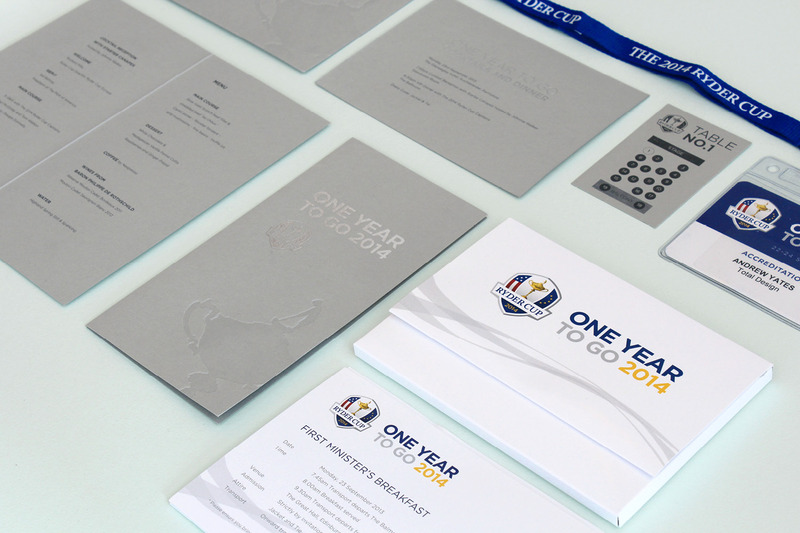 Our task, in less than 8 weeks, was to turn around full design concepts, full production specification and on-site management of all aspects of the event. 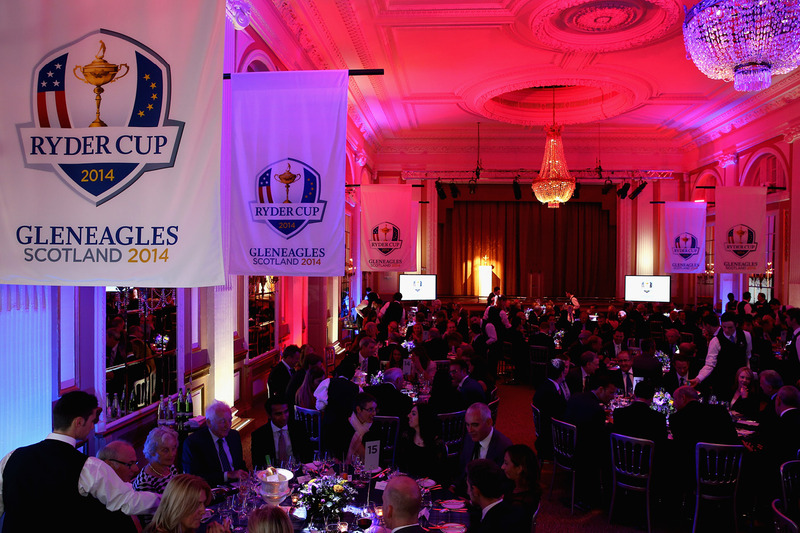 These included Balmoral Hotel branding, Waverley Station branding, Train External and Internal branding, Gleneagles Station branding, Event Scotland lamp-post branding, Perth Concert Hall branding, Gleneagles Hotel Press Conference, across all printed items, menus, place card, seating plans, leaflets, ticket, itineraries and accreditation.